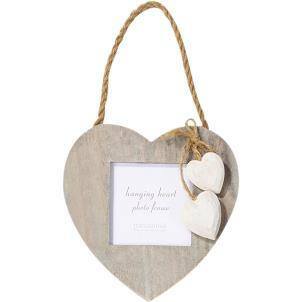 Display your special memories in the rustic looking hanging hearts frame. It will hang in any room and make a lovely addition to your home decor. This lovely frame is also a lovely gift for friends, family members and of course gifts for weddings and anniversaries or simply as a new home present.